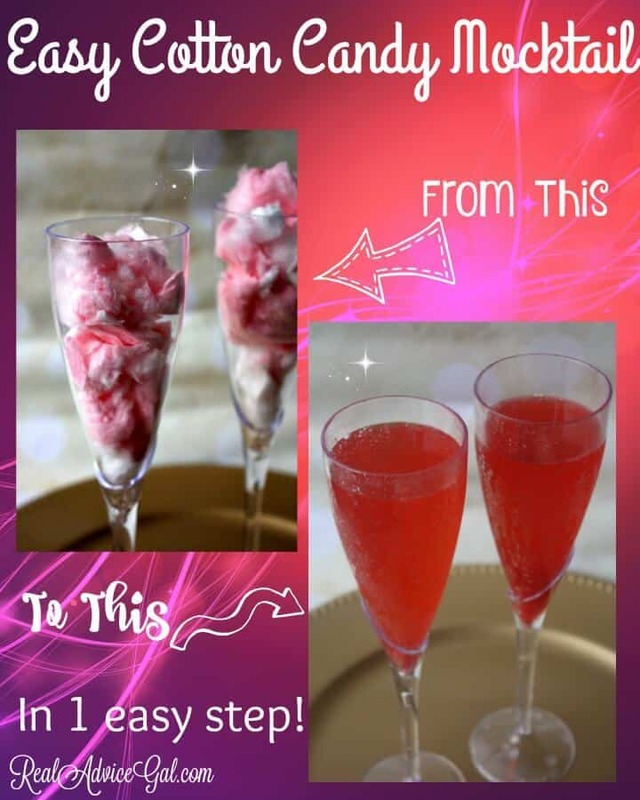 This Easy Cotton Candy Mocktail Recipe is sure to be a fun way to ring in the New Year, or great when your kids just want to feel a little fancy! The holiday season is one of my favorite times of the year! It’s so festive and fun. 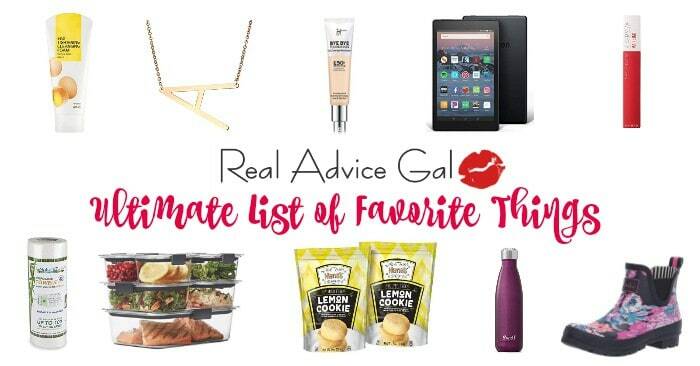 Most people think that the holiday season ends after Christmas but that is So not true! We can’t forget New Years Eve/New Years Day right? I don’t know about you, but New Years Day is one of my favorite holidays. I love the thought of a brand new year. A fresh start. Maybe you had a bad year, so New Years day is a start to a (hopefully) bigger and better year. Maybe you had a great year, and New Years Day is the first day to another great year. Either way, it’s something to be celebrated! So every year my family and I throw a big party on New Years Eve to celebrate. We make sure our kids are a big part of the celebration, which means we have to have some kid friendly recipes and ideas. 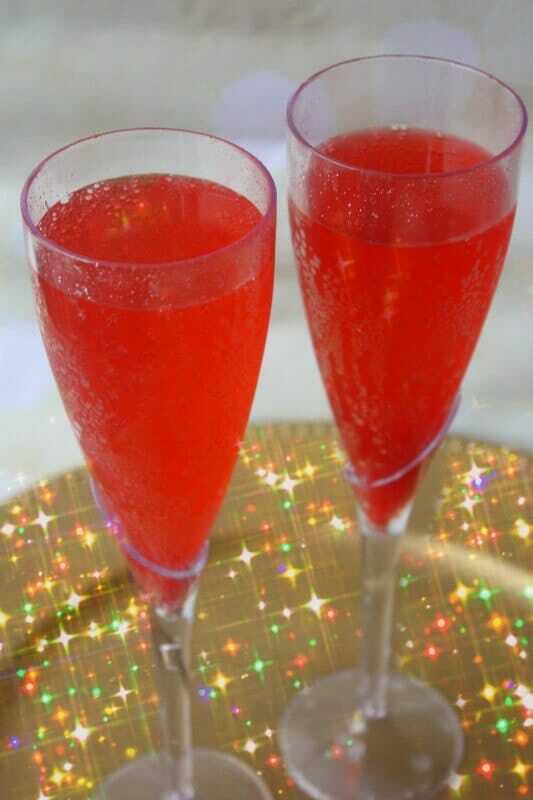 One of my daughters favorite thing we make every year is our Cotton Candy Mocktail Recipe for kids! She LOVES being able to make this on her own, and it doesn’t matter how many times she does it, it still fascinates her every time. Why? Well, because you only need 2 things. Cotton Candy, and Sparkling water. Pour your sparkling water over your cotton candy and watch the magic happen! It’s that easy! 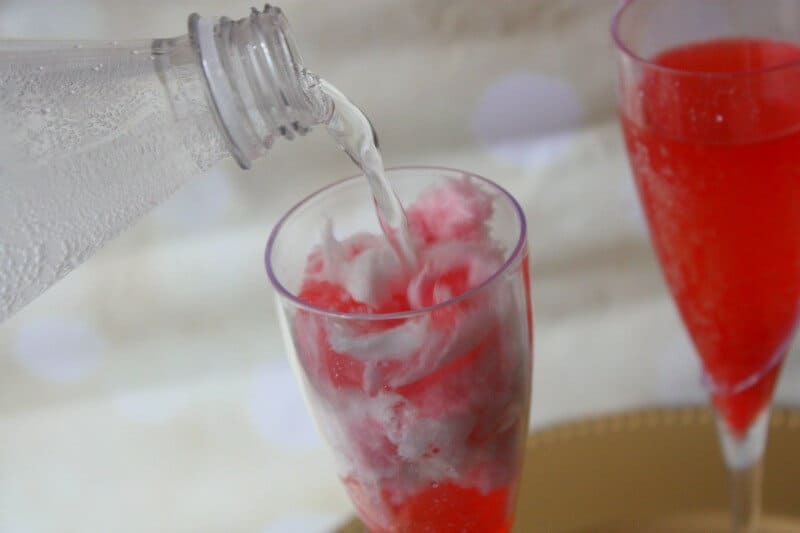 In just a few seconds you will see your glass of cotton candy turn in to a sparkling Cotton Candy Mocktail Recipe for Kids which will be perfect for any type of celebration! I hope you enjoy, I know your kids will! Happy New Years!